On this Valentine Day, it is appropriate to post something about what probably is one of the most romantic fruits: the strawberry. It’s hard to imagine why the apple is the “forbidden fruit” of lore, when the voluptuous and fragile strawberry is so much more tempting. Strawberries are temptingly red and sweet. The are an all time favourite flavour for ice cream, candy, cake, pie and other sweet treats. According to analysts’ estimates, China has produced more than 4 mln mt of fresh strawberries in 2017. Moreover, higher production of fresh strawberries will back further development of the strawberry processing sector in the country. It is estimated that China’s frozen strawberry production will increase by 15% year-on-year to 150,000 mt. The 7th International Strawberry Symposium was held in Beijing in 2012. The following video gives an impression. These figures show a high fluctuation, as can be expected of a product relying on parameters that are hard to predict (market, climate, policies, etc.). The same figures for imported frozen strawberries seem less volatile. There seems to be no clear proportion between imports and exports. The following video is less slick than the one shown above, but gives a direct insight in a Chinese diced strawberry plant. Strawberries are rarely used by the food and beverage industry as whole fruits. They are usually processed into powder, jam, pulp, etc. 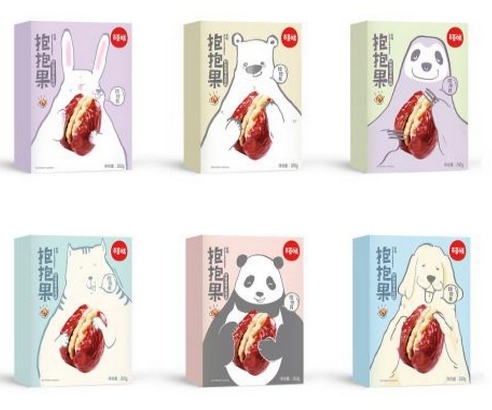 While such products are mainly supplied to industrial clients, Youlian Food (Longhai, Fujian) also markets its freeze dried strawberry powder in 50 gr packages to consumers that like to bake strawberry flavoured cakes. The Food Ingredients China (FIC) trade fair, March 23 – 25, 2016, included 6 exhibitors with strawberry-derived ingredients. I have shown an example of a strawberry flavoured milk beverage in an earlier post. In this post, I will list a few other examples of strawberry flavoured foods and drinks. Also see the vinegar strawberries in my post on vinegar-based foods and beverages. strawberry powder, additives (liquid maltitol, citric acid, food flavour, acesulfame-K, ponceau 4R colour). Although strawberry powder is used, both colour and flavour require enhancement with additives. Crust: wheat flour, butter, food additives(maltitol, xylitol(2%)), eggs, skimmed milk powder. Filling: wax gourd, additives (maltitol), strawberry pulp, veg oil, water. The interesting aspect of this recipe is that wax gourd (donggua) is used to create a fruity mouth feel, which is apparently not accomplished by the strawberry pulp by itself. 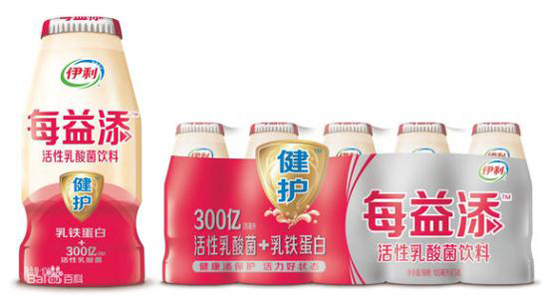 This is a good example of a Chinese formulated dairy drink in which milk is but one of the many ingredients. 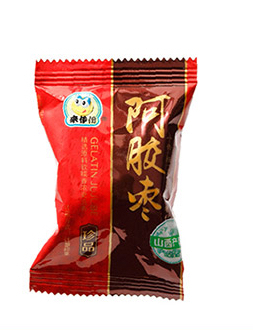 The brand name Zhen Guoli translates as ‘Real Strawberry Cubes’. That may be true, but it is a far cry from real milk. China is the kingdom of dates (jujubes or ziziphus jujuba). The national output was 5.62 million mt in 2017 up from 3.9 mln in 2005. The top region was Xijiang with 2.7 mln mt. They come in various varieties; so many that the New Mexico State University has started exploring them as alternatives for local jujubes. The Chinese have known them for their medicinal properties, but have also been using them as snack food (leisure food) for ages. Now them are also processing dates into various food ingredients. 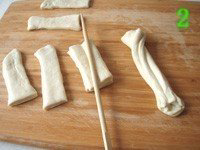 Along most the streets in Tianjin, you will find these little bakery shops. You don’t need to read Chinese to be able to spot one. Not only do you have the amazing smell coming from these small window bakeries. They are also kind enough to display these amazing breakfast cakes in the window. These cakes are made from dried jujubes and normally come 3 for RMB 10. After just one bite, you will find that they are not only sweet but also moist. These are a great alternative for someone in the mood for a light but filling breakfast. They can also be used for a snack between meals. Dates are packed with nutrients: vitamins, minerals and various alkaloids. 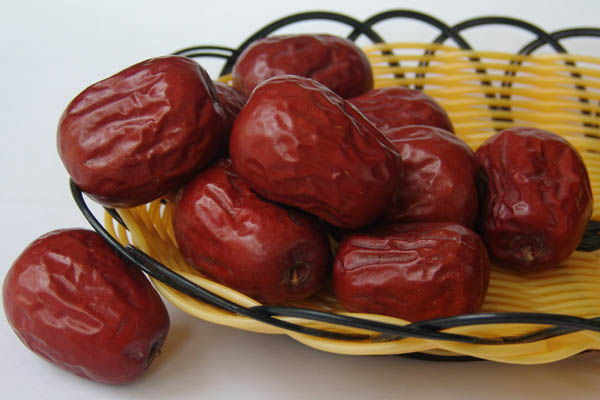 Chinese dates are also a great natural source of antioxidants. Jujube fruits assist very well in a healthy digestive system through its high fiber content, saponins and triterpenoids which prevent constipation, cramping and other gastrointestinal disorders. Chinese dates are said to support the strength of bones, muscles and teeth. 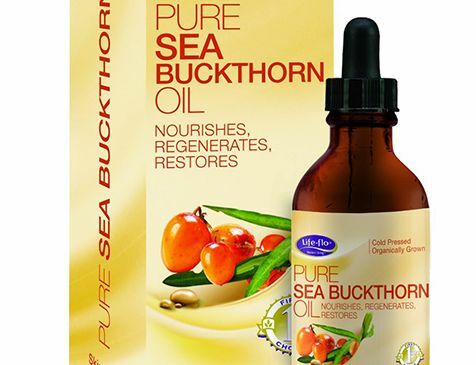 They support the health of the nervous system and assist in alleviating stress, sleeping disorders and anxiety. The high antixodiant levels in Chinese dates take care for immunity, blood detoxification and a healthy skin. A special type of dates with medicinal properties are grown in Leling (Shandong). The dates there belong to the ‘golden thread (jinsi)’ variety and are very rich in selenium and vitamin C. They also contain considerable amounts of calcium, phosphorous, potassium and iron. Dates have become such an important product now, that they have recently played a leading role in a civil law suit. 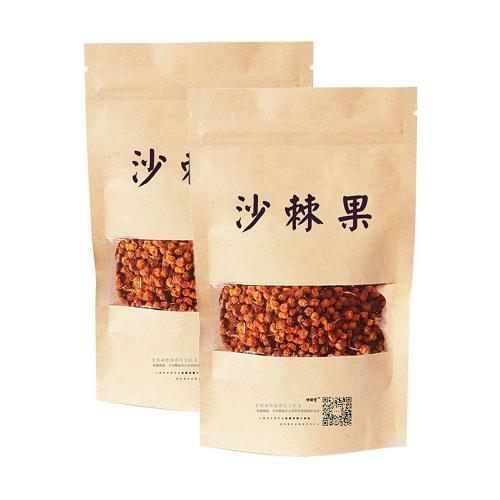 A Shanghai-based company, Dashanhe, produced and marketed dates with Hetian Tianzao (Khotan Heavenly Dates) printed on the packaging. Heavenly Dates, however, is a brand owned by a company in Xinjiang, Tianhai Oasis. This company produces a range of luxury date products (see picture), and sued Dashanhe for infringing on its brand. It won the suit. Dates have become big business in China. The Kunlunshan Date Co. (also Xinjiang)’s Khotan Jade Dates (Hetian Yuzao) have been incorporated in ‘China 100 Best Agricultural Products’ in 2013. This company was founded on the basis of a military operated collective farm in 2005, and was reorganized into a limited company in 2012. Dates are indeed a conduit to success in China. Here is a video demonstrating the processing of dates in China. Innovation is the trend in the present day Chinese food industry. This innovation is taking place in a number of different directions, one of which is using traditional ingredients to produce foods and beverages that suit the lifestyle of modern hasty city dwellers, but still remind them of the traditional flavors, and retain the medicinal activities ascribed to them according to traditional Chinese medicine (TCM). 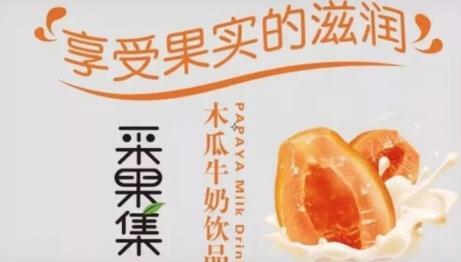 An example of such a product using dates as ingredient is: date juice breakfast milk, a good example of one of the many formulated dairy drinks produced in China at the moment. Stabilizer RH6 is a branded compound consisting of: sucrose ester, monoglyceride, sodium alginate, CMC and potassium dihydrogen phosphate. Ajiao (or ejiao) is a Chinese medicinal substance obtained from donkey skin that is often used in combination with dates. The complete text of the production process indicates that low calorie sweeteners can be used to. It is an experimental recipe. 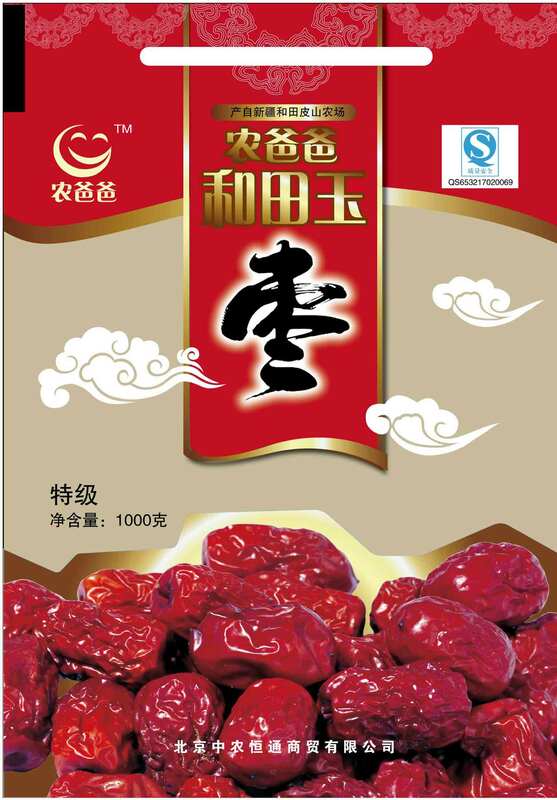 Fuyuan Food (Binzhou, Shandong), is also producing a date enriched with ejiao: Changsi brand Ejiao Royal Dates. 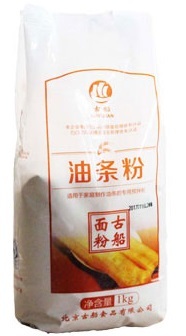 Another, sweeter and stickier, version is sold under the Selective (Zhenxuan) brand (Zibo, Shandong). 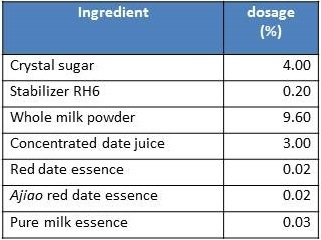 Dates, sugar, maltose syrup, ejiao (0.5%), food additives (citric acid, potassium sorbate, sodium benzoate, sodium pyrosulphate). 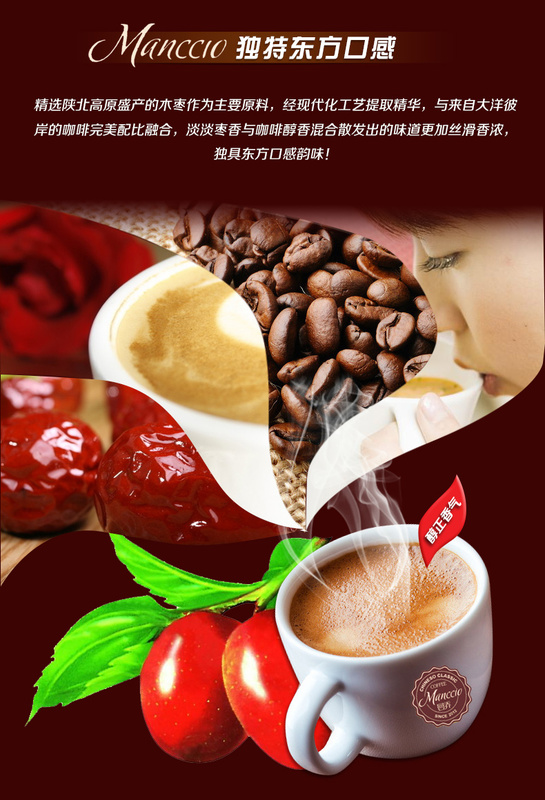 An interesting fusion between Chinese dates and Western food and beverage is: Manccio Jujube Coffee, produced by Manccio Co. (Xi’an, Shaanxi). Coffee is rapidly gaining popularity in China, but it still has a Western character. This product is therefore marketed as ‘China’s own coffee’. Its ingredients list is simple. Date powder, instant coffee, microcrystal cellulose. Manccio cooperates with a coffee supplier in Malaysia. I haven’t been able to sample the product myself, but I will report on the taste as soon as I have had an opportunity. 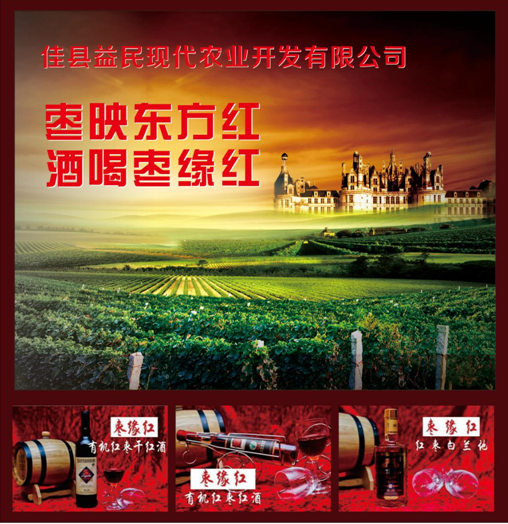 Yimin Modern Farming (Jiaxian, Shaanxi) has developed a range of date wines and spirits. 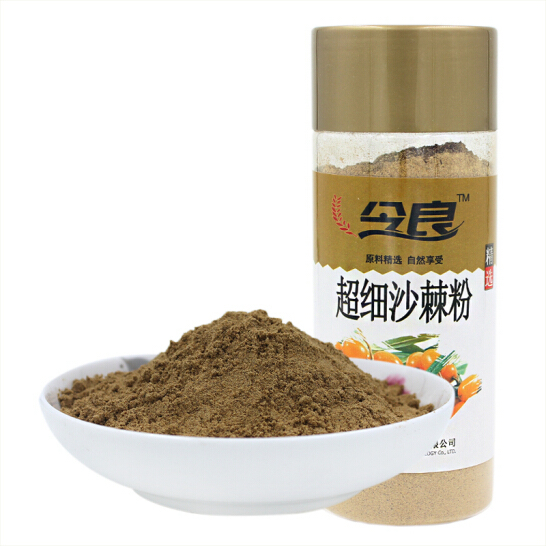 Some Chinese companies have developed food ingredients from dates like date powder. Our database includes a recipe for a type of bread using this ingredient. Dates are also used in babao porridge, birds nest soup, and zongzi, introduced in another posts of this blog. 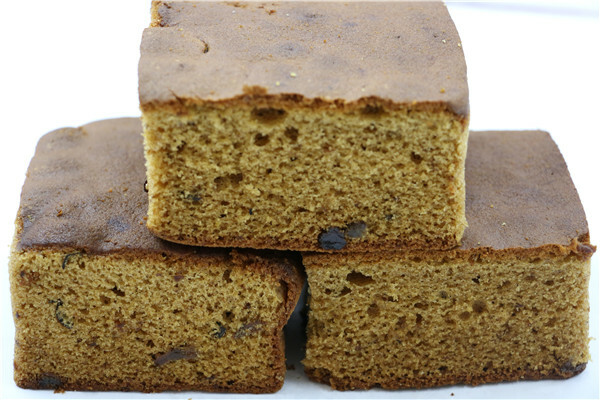 Eurasia Consult’s database of Chinese industrial recipes includes numerous products with dates as a main ingredient, both traditional and innovative, including products like: date cake, date pudding, date juice, etc. As the world’s date country par excellence, Chinese food technologists like to develop new foods with date as one of the ingredients. A recent proposition I picked up is a date flavoured sausage. The meat is a mixture of chicken and pork (ratio: 3:7), with dates added as a paste, made by mixing water and dates (ratio: 1:1). The total ingredients list is as follows. Chicken meat, pork, ice water, modified starch, protein powder, glucose, salt, sugar, compound phosphate, koji red colour, pork flavour, red date pulp, red date paste, white pepper powder, ethyl maltol. Nestlé has deftly noted the Chinese liking for dates and date flavoured products. 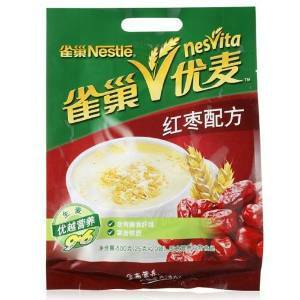 The company has launched a red date flavoured oatmeal under the Nesvita brand. The product contains 400 gr of date powder per 1000 gr of finished product. The following table lists the top 10 branded date products of 2017. The brand logos are shown in the figure. The number one: Haoxiangni Jujube Co Ltd.
Haoxiangni (litterally: ‘I think of you a lot’), based in Xinzheng, Henan province, is the only listed company in China’s date industry. It is combines R&D, manufacturing, and distribution of jujube series products. 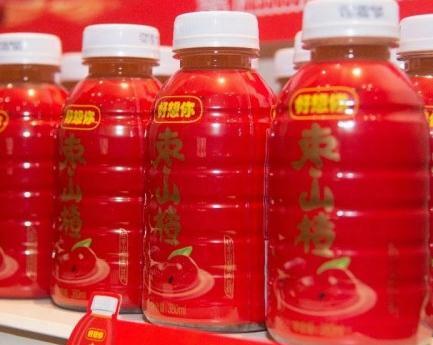 The company primarily offers various jujube products, including royal jujubes, crystal jujubes and fragrant jujubes, and others; jujube chips and donkey-hide gelatin jujube chips; preserved products comprising preserved jujubes, wild jujubes, and ejiao (donkey-hide gelatin, an ingredient of traditional Chinese medicine TCM) jujubes; and dried jujube products, such as dried crystal jujubes and dried fragrant jujubes. 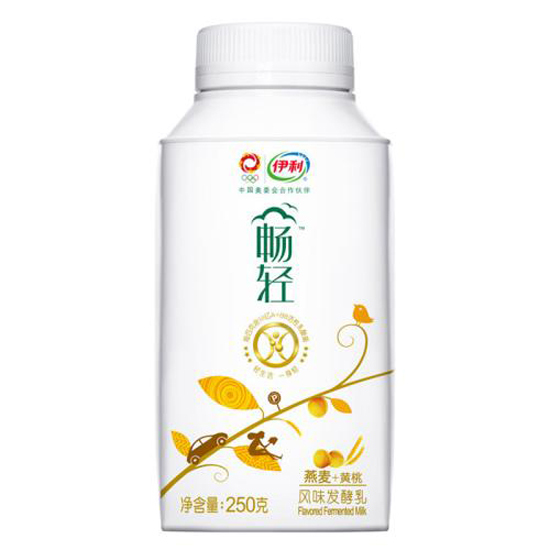 It also provides jujube powders, which include original flavor jujube powders and high-calcium jujube powders; and honey products, such as jujube honey and acacia honey, as well as prepared and crisp jujube products, jujube beverages, and other series of products. The company was founded in 1992 and is based in Zhengzhou (Henan). 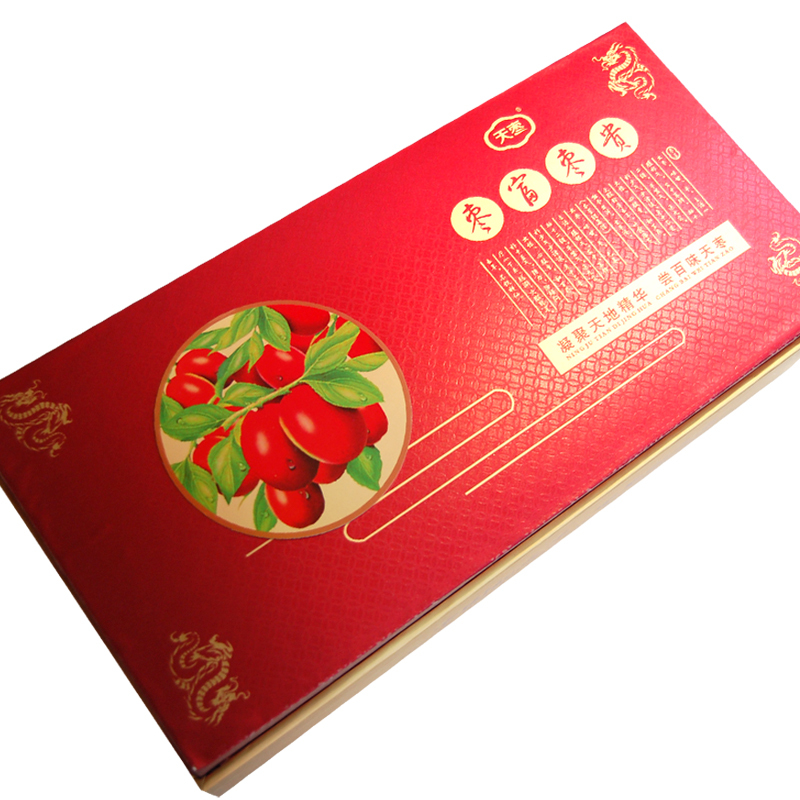 Jujube is not a rare food, but Haoxiangni made it into a luxury good, by selling gift boxes of jujube for several hundred yuan. The brand’s high-end image was its main attribute but now it is hard to maintain. After cooperating with Trout & Partners Ltd, a global consulting firm, in 2012, Haoxiangni started an overhaul of its brand image in 2013 by promoting low-price products for less than RMB 100. 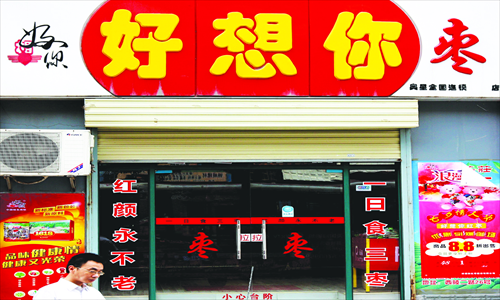 According to Shi Jubin, the chairman of Haoxiangni, the company will focus on quality rather than number of franchisees by closing 600 of its 1819 stores, according to a statement released on the company’s website. The government of Henan has included Haoxiangni in the provincial Immaterial Cultural Heritage in December 2014. Haoxiangni suffered from the government’s ongoing anti-corruption campaign. It saw a decrease in revenue, though small, in 2013. It was the first time it had seen a decline in revenue since being listed in 2011. The company filed a turnover of RMB 973 million for 2014, up 7.10%. 65% of that turnover was derived from the company’s dedicated outlets. Unfortunately, the first quarter of 2015 turned out particularly disappointing, with a drop in net profits of almost 47%. Insiders attribute this to the ongoing change of strategy from focusing on special shops to multiple channels. Haoxiangni is also in the midst of a construction project. These investments are eating up a considerable part of the profit, but the company is still regarded as healthy and promising. Haoxiangni is also broading the raw material of its products, like: lotus seeds and yin’er (silver fungus). The first quarter of 2017 saw a huge increase again with a turnover of RMB 1.2 bln, up 300%. Haoxiangni has also sponsored a ‘China Date Culture Museum’ in its home town. The government of Xinzheng has also adopted date growing a symbol of the local economy. The city’s website is laden with date flavour. 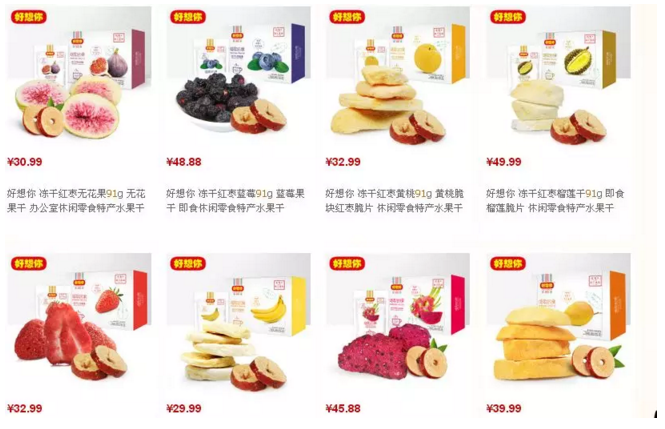 To counter the problems of relying to heavily on one product line, Haoxiangni launched a broad range of fruit snacks like dried fruits based on different kinds of fruits in 2018. As part of the same diversification strategy, Haoxiangni has also launched a fruit nectar made from dates and hawthorn. 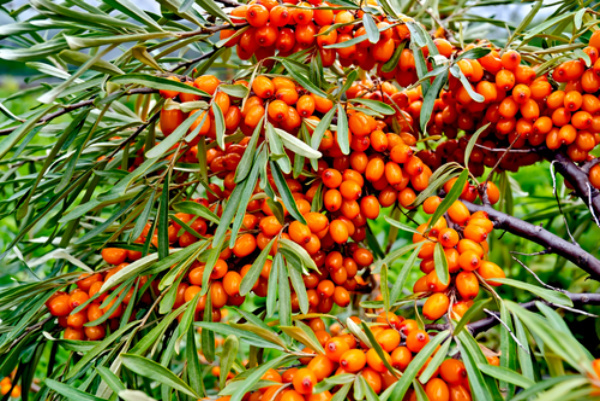 The latter is a typical Chinese fruit, used in the famous North-China winter snack tanghulu. 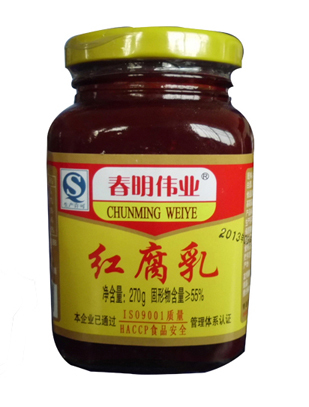 A relatively new player in this market that is arousing nation wide interest with innovative products and promotion campaigns is Baiweicao (Bee & Cherry) (Hangzhou, Zhejiang). 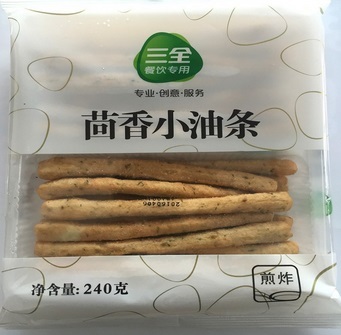 It is a general producer of nut and fruit-based snacks. 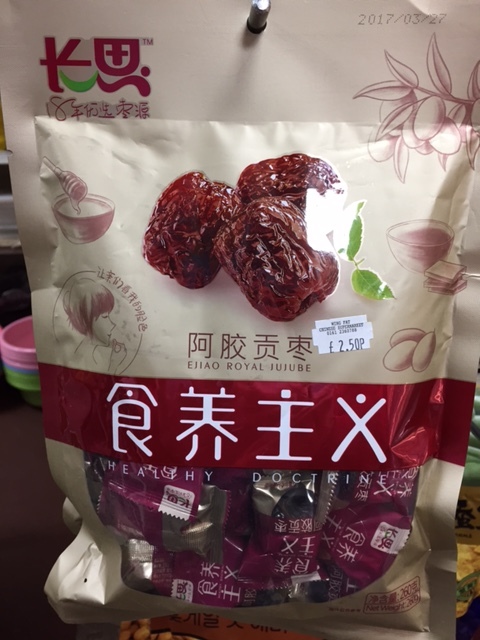 One of its flagship products is a combination of those two: dates stuffed with walnut, marketed under the Baobaoguo (literally: Wrapped Fruits) brand name. It is packed in a series of boxes with drawings of various animals. Eurasia Consult’s database of the Chinese food industry includes 259 companies producing date products. What on earth is . . . furu? 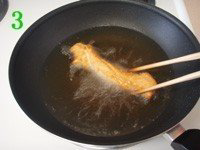 Furu is a fermented soybean product. It is a cheese-like product with a spreadable creamy consistency and a very distinct flavour. 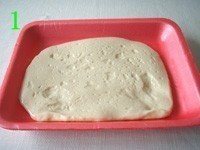 Furu is a popular seasoning for breakfast rice or steamed bread (mantou). It has a long history and written records date back to the 3rd century. Furu is made by fungal solid state fermentation of tofu (soybean curd) followed by aging in brine containing salt and alcohol. The production process consists of two fermentation steps. 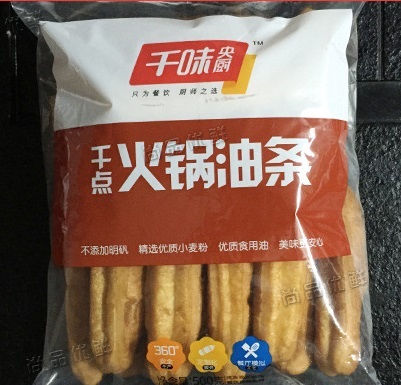 Square blocks of regular white bean curd (4.3 x 4.3 x 1.5 cm) are rubbed with Mucor fungus and soybean meal, placed on wooden boards, and fermented for 2 – 3 days in a room with a temperature of 35 – 40 ºC, during which they are regularly turned around. Then they are placed in jar with brine and soaked for 7 days. Finally, the beancurd cubes are placed in a jar with a mixture of red koji powder, fermented paste, pickled daylily, distilled liquor (baijiu), spices, some rice wine and water. The jars are sealed with paper and fermented for 3 months at 30 ºC. The following video introduces the industrial production of furu. It is in Chinese without English subtitles, but I think it is informative enough for food technologists. Several types of furu can be distinguished, according to processing method or according to colour and flavour. Choice of processing can result in mould fermented furu, naturally fermented furu, bacterial fermented furu, or enzymatically ripened furu. Fungal starters include Actinomucor spp., Mucor spp. and Rhizopus spp. 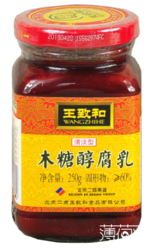 Wangzhihe is the oldest existing brand, founded in 1669. 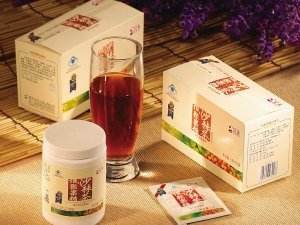 Wangzhihe (founded in 1669) is also actively developing its formulation. 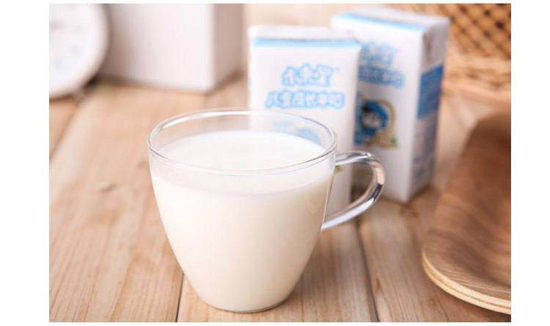 A newly launched version is Xylitol Furu. Water, soybeans, alcohol, salt, wheat flour, additives(xylitol, red koji, magnesium chlorate, citric acid), spices. 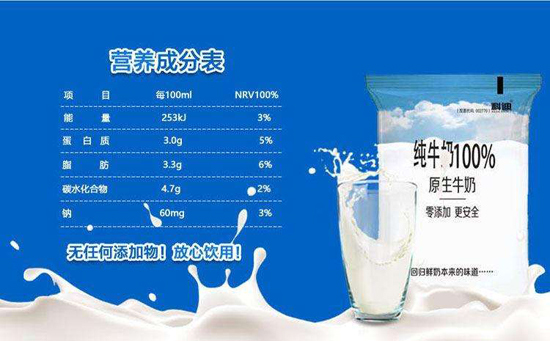 Let’s have a look at the nutrition information (100 gr) of the xylitol furu and the regular version, both by Wangzhihe. So some of the fat has been replaced by carbohydrates, and additives are used to restore the texture, colour and other organoleptic properties of the ‘real thing’. 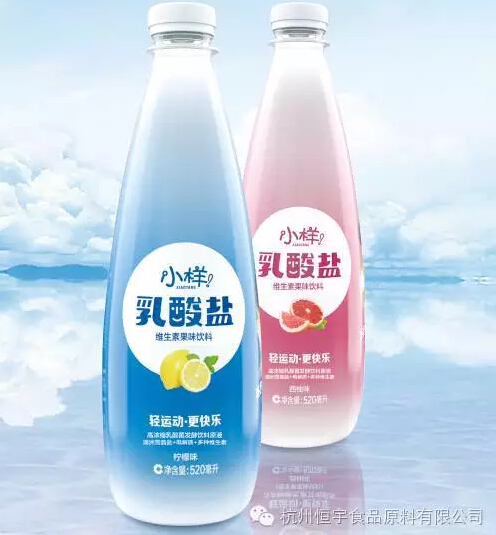 Wangzhihe has also launched a ‘low salt furu’. 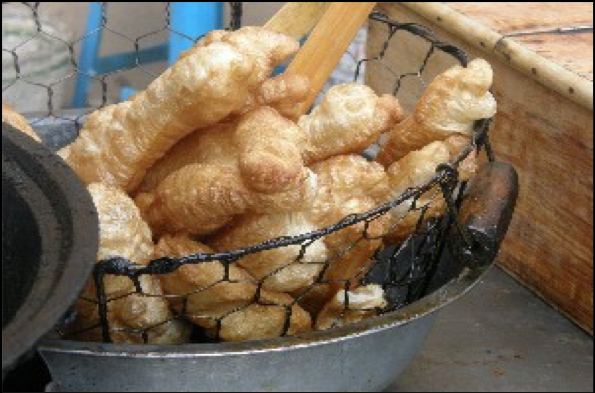 The furu range of Lanting Food (Shaoxing) includes a ‘ham furu’. The ingredients include Shaoxing rice wine and Jinhua ham, two local specialties of Zhejiang province. 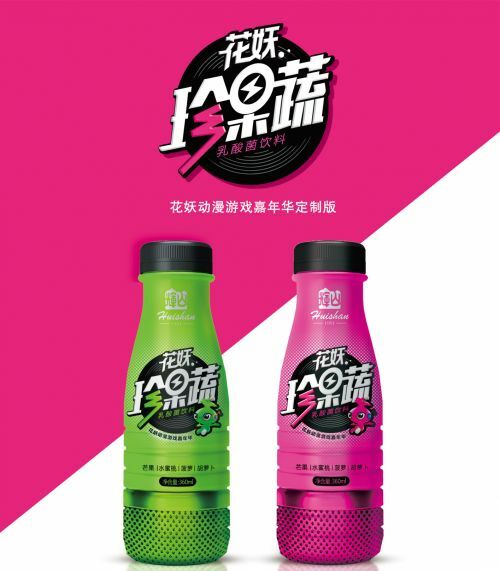 This product fits in with a popular trend in food innovation in China that tries to cash in on famous local products. One route to innovation is a strategic alliance between a manufacturer and a university. Chunming Seasoning (Qingdao, Shandong) has established a Qingdao Chunming Seasoning Research & Development Centre in cooperation with the Food & Beverage Research Institute of Qingdao University. Apart from developing new and better products, this project is also a good breeding ground for new engineers for the company. Wangzhihe’s furu got national recognition as a cultural heritage item, in June, 2008. The company gives all its suppliers an evaluation and certification before allowing them to supply. They are mostly located in the northeastern provinces of Jilin, Liaoning and Heilongjiang, which have high-quality soya beans. 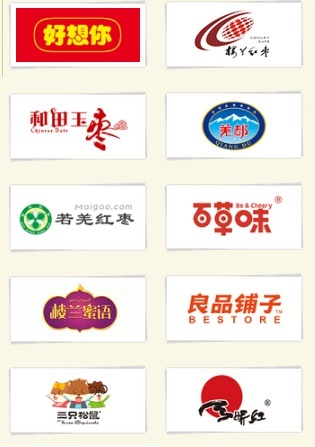 Eurasia Consult’s database of the Chinese food industry includes 55 producers of furu.